Due to inclement weather there will be no deliveries today. Providing over 250 property developers with market leading, professional homebuyer manuals and online resident management systems. More than just an online portal, Hoozzi connects housebuilders and homebuyers at every stage of the customer journey, at home and on the go. Hand over the future, with a fully configured tablet, giving new homeowners instant access to information about their new home. 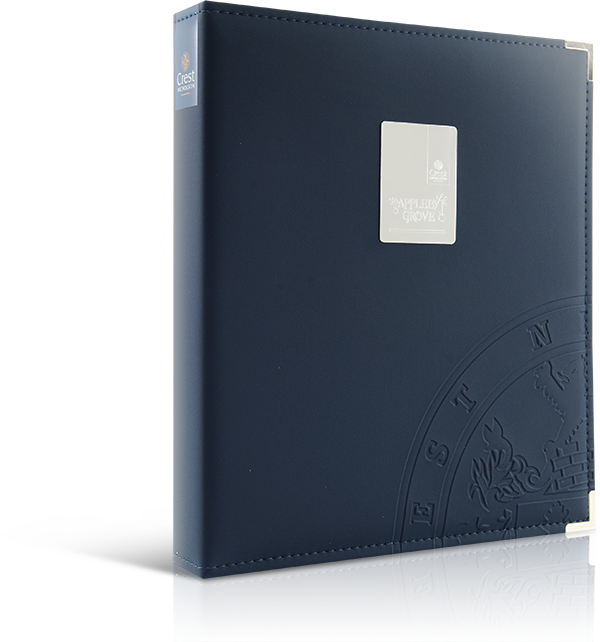 Delight buyers and welcome them to their new home in style with Classic Folios' bespoke branded and custom-designed completion manuals. VR is set to transform the property market so we’ve developed the most up-to-date 3D technology to create an immersive home tour. Delivering exceptional brand experiences at every stage of the homebuyer customer journey will bring long term brand benefits, resulting in loyal customers and referrals. Our packages provide support for homebuyers and house builders alike throughout the customer journey. Reduce buyer remorse and keep customers engaged and informed at this crucial stage. Improve your handover and give buyers all the information about their new home from day one. Support your new homeowners in the early days without costly customer service calls. synonymous with continued customer care, as houses become homes. Keep your brand in the homeowner's mind when they make their next property purchase. With over 20 years’ experience and working with 6 of the top 10 UK property developers, we are the market leaders in new home owner handover solutions. Our expert teams provide professionally written content, beautiful folios and innovative digital solutions all tailored to your brand. Our research shows that providing relevant, plot level content to new homebuyers reduces buyer remorse, builds long term engagement with your brand, and reduces the number of costly queries to your customer service teams.